One aspect of being a successful investment property owner is keeping up with the average market rents in your suburb. Whether you’re a long time investor, or thinking of purchasing your first investment property, it’s important to understand why rent needs to be increased, and how to increase it without upsetting your tenants. Put simply, property rental prices increase due to changes in supply and demand. When a suburb becomes popular there is a greater demand for rental properties, and this usually sees agencies and landlords increasing rents. At a macro level, general economic variables and currency fluctuations can also cause rental prices to increase or decrease. As a property investor it pays to keep an eye on the average rent prices in your area. If you’re charging below market average, you could be missing out on profit. Likewise if you’re charging above market average, you risk losing tenants to cheaper properties. Money is a sensitive topic, and no one wants to feel that they are being treated unfairly. The last thing you want to do is to damage your relationship with good tenants. However investment properties are a business and you’re in business to make profits, albeit over the long term. Of course in some situations, where you have a high quality long term tenant in place, you may need to weigh up just how often you increase your rent for this tenant. What would be the cost of replacing them? Give your tenants at least the minimum required notice. In all Australian states, except the Northern Territory, landlords are required to give tenants 60 days written notice before increasing the rent. Do this sooner, if you can. Keep in mind that rent cannot be increased in fixed term agreements unless specifically outlined in the tenancy agreement. And, rent cannot be increased more than once every 6 months. Explain to your tenants why the rent is increasing. It is acceptable to raise rental prices in line with CPI. Before renting your property out, we highly recommend talking to a Real Estate Agent Property Manager first and familiarising yourself with the rental regulations in your State. 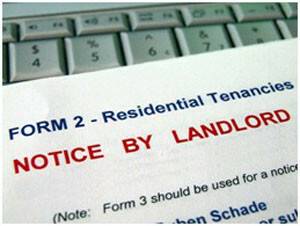 You are required to understand your obligations as a landlord. If you’ve found the perfect investment property and are ready to organise an investment loan, give us a call on 1300 700 496, or shoot us a quick email. We’ll do our best to secure an investment loan that is perfect for you.